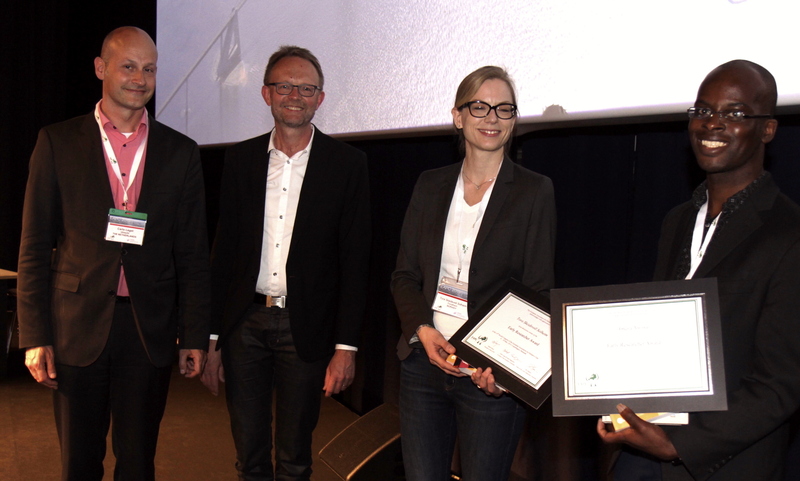 On 9 May at the 14th EAPC World Congress in Copenhagen, Dr Amara Nwosu, Academic Clinical Lecturer in Palliative Care, Marie Curie Palliative Care Institute Liverpool, University of Liverpool, UK, received joint-third prize in the 2015 European Association for Palliative Care Early Researcher Award. 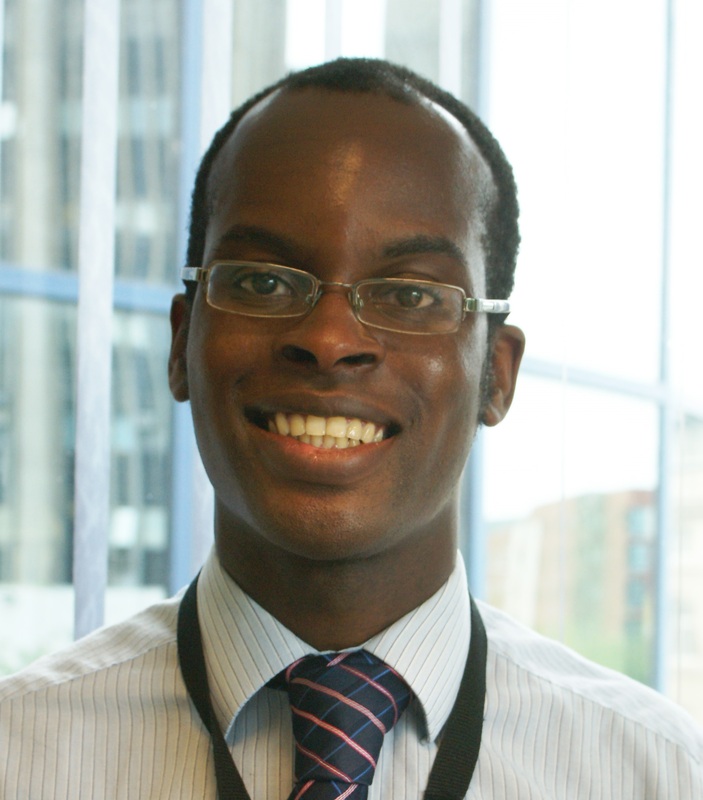 Here, Dr Nwosu describes what inspired him to follow a career in palliative care and the research that led to his award. It is an honour to receive joint 3rd place for the Early Researcher Award of the European Association of Palliative Care. It is important to acknowledge that this is not an award in isolation but represents the support I have received from several individuals. I am from a medical family; however, this deterred my interest in becoming a doctor as I saw how difficult the job could be. Instead, I decided to go to art school with the intention to do stage design or graphic design. However, my career plans changed because of the care my aunt received in a hospice. Yet initially, as a 16-year-old boy, my experiences with healthcare professionals were generally orientated towards adults rather than children. I was often not included in discussions about my aunt. But my experience in the hospice changed everything. My aunt was dying of breast cancer. The nurse acknowledged me; she asked me: “how are you?” – no one had ever asked me that. I changed my school subjects (late) to do chemistry, a requirement for medical school (although I still did art!). I was hopeless but did my best. My chemistry teacher, Mr Mercer, kindly provided me with extra tuition in the evenings after school. I somehow got the grades I needed for university. As a student I was fortunate enough to do a research-based student elective in St Louis, Missouri, USA (under the supervision of Professor Kathy Virgo, Professor Frank Johnson and Professor Ricardo Audisio). My interest in research was kindled. Following medical school I completed combined junior clinical academic roles. I decided to come full circle and do palliative care, ending up working in the same hospice where my aunt had died. Under the supervision of Professor John Ellershaw, at the Marie Curie Palliative Care Institute Liverpool (MCPCIL), I’ve recently completed a PhD evaluating the use of Bioelectrical Impedance Vector Analysis (BIVA) to study hydration states in advanced cancer inpatients based within a specialist palliative care unit in Liverpool, UK. Participating patients were assessed using BIVA, underwent a clinical examination and completed a self-reported symptom questionnaire. This was the first study to use BIVA to objectively assess hydration in advanced cancer and demonstrated how patients with lower levels (compared to those more hydrated) had increased symptom severity, increased intensity of physical signs and shorter survival. Further work is needed to examine the reasons for this difference and to determine whether artificial hydration improves outcomes. Subsequently, I was appointed to the post of Academic Clinical Lecturer in Palliative Medicine at the Marie Curie Palliative Care Institute Liverpool. It is extremely humbling to receive this award when I look at the calibre of my peers and previous award winners. The EAPC Early Research Award is a wonderful recognition of my work to date. However, you can see that without the support of several people over the years there would be no award for me. Going forward, this award will help me gain confidence in my emergent research skills and will hopefully provide opportunities for collaborative research. The artist in me is still keen to come out though! Please do check my website for details of my MyPal podcast and other media. Feel free to contact me on Twitter @amaranwosu. Click here to see more pictures from the 14th EAPC World Congress and a special message from the organising committees. 5th International Seminar of the PRC (European Palliative Care Research Centre) and the EAPC RN (European Association for Palliative Care Research Network), 15-16 October 2015. 9th EAPC World Research Congress, 9-11 June 2016. The Early Researcher Award is presented annually by the EAPC and is designed to recognise the work of young (novice) scientists and clinicians in the field of palliative care who have recently made, or are currently making, an outstanding contribution to research. It aims to highlight their personal career development and their potential for the future. Click here to read posts from this year’s prizewinners, Dr Kathy McLoughlin and Dr Julie Kinley. Our final post in the ERA series, from Dr Tora Skeidsvoll Solheim, will be published next week. Look out for announcements about the 2016 Early Researcher Award in the autumn. This entry was posted in 14th World Congress Copenhagen, EAPC ACTIVITIES, EAPC Researcher Awards, EAPC World Congresses, RESEARCH and tagged Use of bioelectrical Impedance Vector Analysis in hydration states in advanced cancer. Bookmark the permalink.